Foundational piece on feedback and it's impact on achievement. The first half of the paper explores the research, complexities and variance in the effectiveness of various forms of feedback in depth. The second half of the paper, titled: 'Using the Four Levels and Three Questions to Untangle Some Thorny Feedback Issues' , considers the research and discusses more direct implications for teaching and learning. It is this paper that goes deep into the model of feedback, as well as discussing differences between male and female students, how different cultures respond to feedback, and other complex feedback issues. 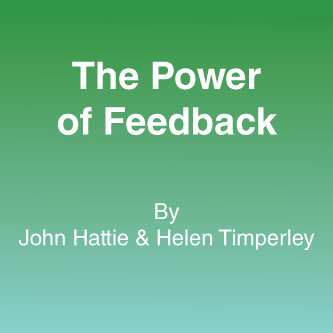 Like Hattie & Timperley's paper, the first half of this paper is more research based and technical, however the second half of the paper (p. 4 - 9) discusses how to best engage learners with feedback in the classroom. 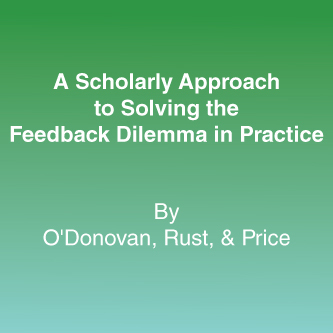 This is a reasonably accessible research paper that proposed a model, and Seven Principles that underpinned high level feedback practices. These seven principles are outlined from p. 7 onwards, are very reader friendly, and would be a great starting point to engage teachers in evidenced based literature. 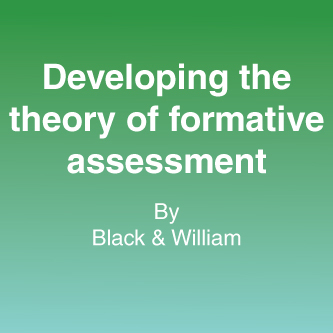 Provides a framework for effective formative assessment, and then discusses implications for practice. A longer paper, it might be useful if elements of this were read as a jigsaw activity with teachers, or broken down some other way. To craft teacher feedback that leads to learning, put yourself in the student's shoes.